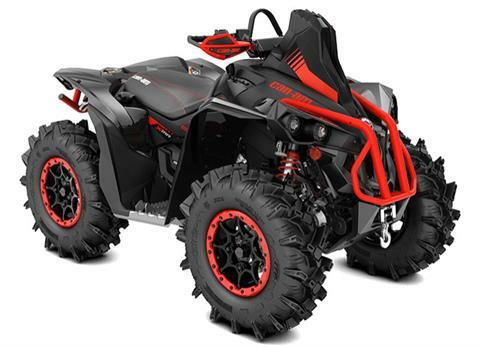 The Renegade X mr 1000R is the most powerful mud ready ATV on the market. CATEGORY-LEADING PERFORMANCE: The most powerful mudding ATV engine is in the Renegade X mr 1000R. 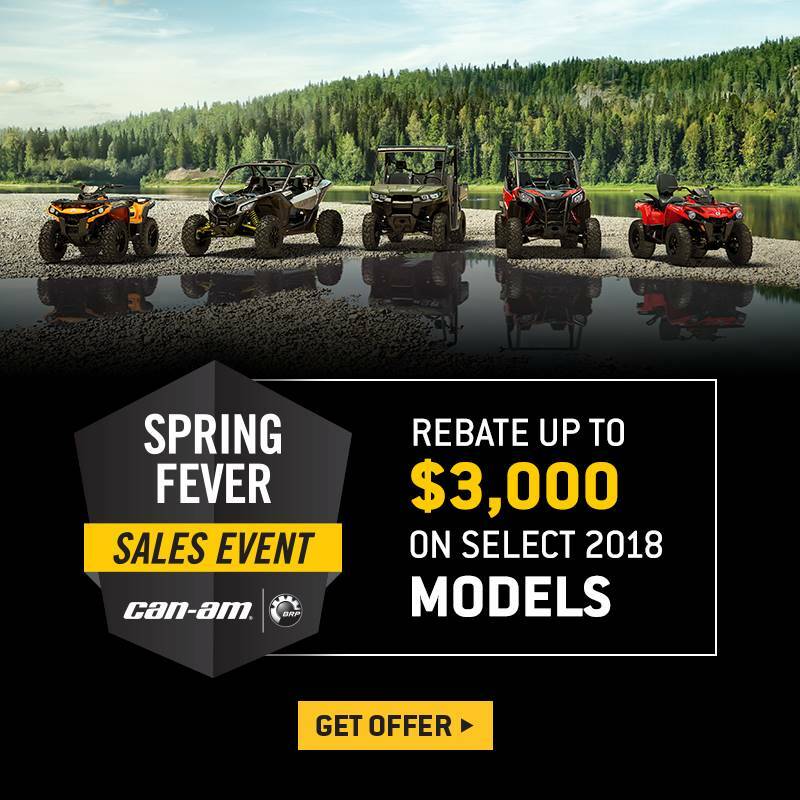 Fed by a 54-mm throttle body and twin Siemens VDO fuel injectors, you’ve got the power to get in and out of the toughest mud holes. Critical components like the CVT intake and outlet, and as well as engine intake were also relocated as high as possible on the ATV, far from the muddy and wet conditions below. HIGH-PERFORMANCE SHOCKS: These new high-performance front and rear FOX† PERFORMANCE SERIES 1.5 PODIUM† QS3 shocks allows riders to easily dial-in their suspension setup tool-free. Through a 3-position knob, suspension can be adjusted to give a smooth and comfortable ride. Turn the knob up one position to get a more sporty behavior or go to position 3 to get that high-performance race-ready suspension. MUD-SPECIFIC TIRES & PERFORMANCE WHEELS: For unparalleled forward traction in the most challenging conditions, pros and enthusiasts alike are driven by a proven chevron tread pattern with grooved center lugs and an extremely durable rubber compound. Beyond its forward grip, the experts at ITP crafted CRYPTID with balance of side bite for climbing out of mud and comfort for more casual riding. Installed on large 14-in (35.6 cm) cast-aluminum beadlock wheels, featuring a mechanical fastening system that makes it nearly impossible for the tire bead to break loose from the wheel during mud riding, heavy acceleration or cornering. POWERFUL WINCH: This powerful winch with a 3,000-lb (1,361 kg) capacity is factory-installed and can handle the toughest situations.